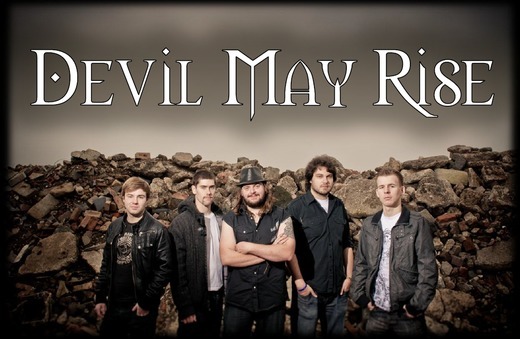 Lead by the one of a kind front man David Donaldson, Devil May Rise burst onto the metal scene with their EP in 2011, reviewed by Panic Magazine as 'Devil May Rise mean business. Make no mistake about that. With a combination of NWOBHM influences and modern thrash and metalcore sounds they seem to have struck the perfect balance.' After a strong campaign in Metal to the Masses 2012 Devil May Rise finished in 5th position and have big plans for 2012 with the hugely popular Bay Day gig at 'The Golden Fleece' in Chelmsford confirmed for the end of July alongside the band INME. Devil May Rise are upping there game. Make no mistake, with Merchandise in production and plans for a second EP in the pipeline. It's safe to say that the feeling within the band is that this is a line-up that was just meant to be and that they can achieve something great. Musically the direction of Devil May Rise is a progressive Metalcore/Thrash sound. Wanting to expand on the ideas developed in these by the Band, Devil May Rise pushed the dynamics, textures and arrangements as far as they could within the feel of the song while showcasing their technical ability. With its thundering thrash riffs on tracks such as 'Suffocating In Chains' from there 2011 EP and new track '6 Foot Drop', or the melodic grooves of 'Thank You' and 'Eternity' Devil May Rise carve their way through the listeners conscience whilst still allowing room for the more progressive and atmospheric sounds of 'Freak'. Lyrically speaking vocalist David Donaldson drew inspiration from personal relationships and life experiences that have come from Devil May Rise's 2 year strong journey so far. A journey that has seen highs and lows yet remains true to the bands musical path and vision which they collectively share under their new metal family motto and band moniker.